Beaches are what family vacation dreams are made of. We save our pennies for simple days on the sand, building sandcastles, riding waves, playing volleyball, picnicking, and most importantly — spending quality time with loved ones. 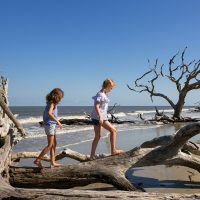 These beaches, hand picked by our editors, offer opportunities to do all of the above (and more), plus all of the amenities families need at a beach — pristine, relatively calm waters, restrooms, showers, parking, and nearby accommodations, restaurants and other fun diversions, from historic sites to fireworks. Here, the best beaches for families to visit in 2016. There’s a reason so many families head for the Outer Banks year after year, sporting “OBX” stickers on cars packed with beach gear and kids. Many of them head for Cape Hatteras National Seashore, a 70-plus mile shoreline preserved by the National Park Service and widely known for its pristine beaches, water sports, boating tours, and vacation home rentals (more like mansions) galore. 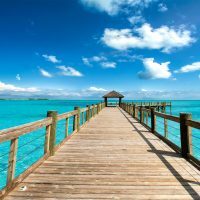 While the beaches and towns along the seashore slightly differ, they’re all the same in that they offer an authentic vacation away from the hustle and bustle of daily life, with the seashore as the main attraction. But if you want to take a break from the beach, take the kids to the Wright Brothers National Memorial and The Lost Colony, a show about the first English settlement in America (before it was even America). Bonus: Both attractions are free to fourth graders and their families this year as the National Park Service celebrates its centennial. 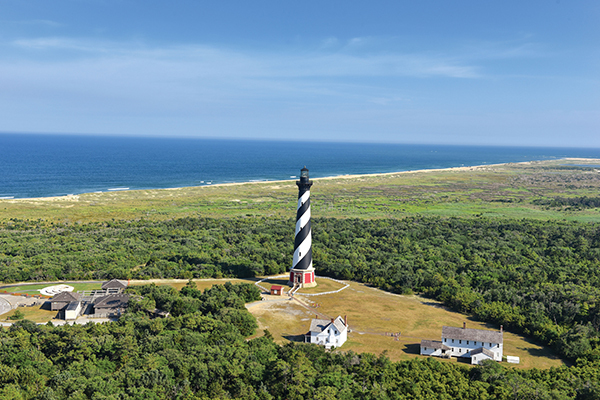 Insider Tip: The Cape Hatteras Lighthouse is open all summer for both daytime and a few nighttime climbs to the public. In the evening, families can climb with flashlights to get a prime view of the Milky Way. 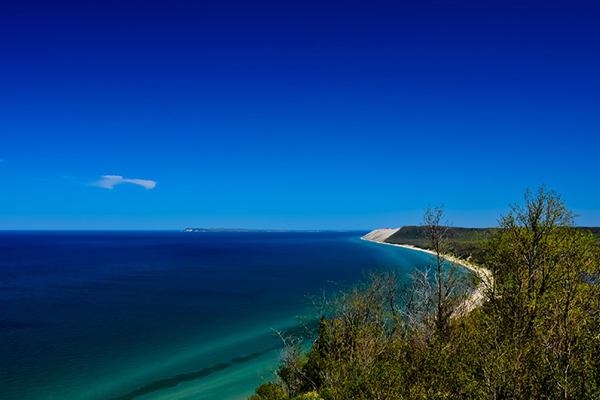 The famously gigantic sand dunes are what give this national park beach its name and entice so many families to visit each year. Of course, the must-experience is the “dune climb” and flight back down the mountains of sand — fun for kids of all ages — before heading for the cobalt blue water. Other outdoor activities include hiking, biking, fishing and camping (though plenty of hotels and rentals can be found nearby), with the convenience of restrooms and showers in portions of the park. Be sure to visit the Glen Haven General Store and Port Oneida Fair while you’re in town, too. The fair, which typically takes place in August, gives families a glimpse of life in the 1800’s, with opportunities to make candles, soap, butter and more. Insider Tip: Pick up a free copy of the park’s Junior Ranger Book, which includes fun assignments for children to complete. When they’re finished, kids will receive a Junior Ranger badge and certificate! South Padre Island is popular with college coeds who annually descend upon the island for spring break. 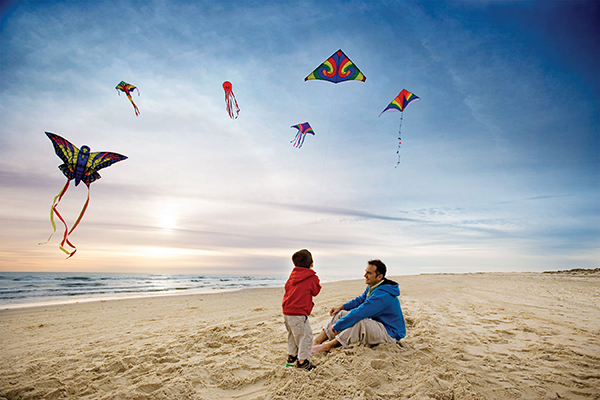 But if you ask us, South Padre Island is a destination best suited for families. 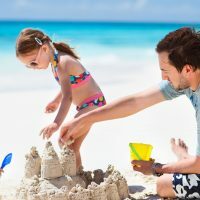 This small island on the Gulf of Mexico beckons families to dip their toes in the water, fly kites, and build castles in the sand. 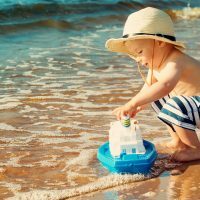 Speaking of sandcastles, the island hosts Sandcastle Days every October, a free event with fantastical creations (and especially beautiful weather). Families also enjoy dolphin tours and Schlitterbahn Waterpark Resort (complete with a hotel onsite). Other hotels line the shore and provide easy access to the sand, though rentals reign supreme in South Padre. Insider Tip: Families can work with local sea turtle rescue, Sea Turtle, Inc., on dozens of scheduled releases during the summer months, to watch as tiny sea turtles enter the ocean for the first time. 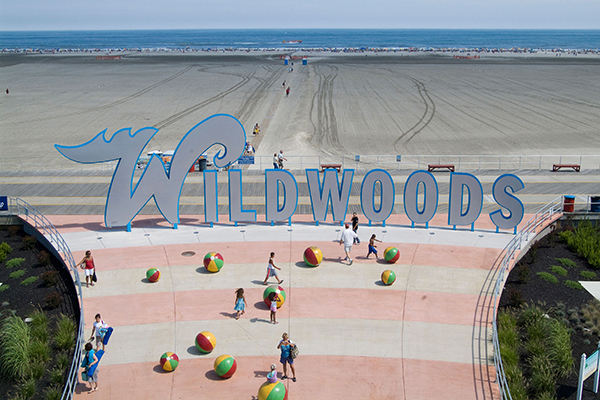 For a classic summer vacation at the Jersey Shore, head for The Wildwoods. The beach, which offers perfect boogie boarding conditions, is located just steps from Morey’s Piers — three distinct piers with rides, a water park, and plenty of funnel cake to go around. Morey’s Piers also hosts many annual events and “Breakfast in the Sky,” an exclusive experience atop the boardwalk Ferris wheel. There are many affordable motels in the area, too, making it a great bargain for family vacations. Insider Tip: Access to the beaches in The Wildwoods is completely free — no beach tags are required — and there is a special Wildwoods Dog Beach, for any families planning to bring Fido along on vacation. 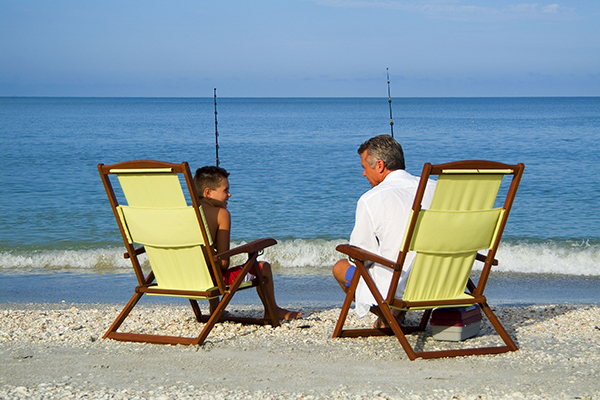 Captiva Beach isn’t for those seeking a go-go-go vacation — it’s for families who truly want to disconnect and unwind at the beach. In fact, the most popular thing to do is walk the beach and collect shells, including conch and sand dollars. The island offers shelling tours, with one hotel (South Seas Island Resort) even featuring a designated shelling concierge! Families also enjoy boat tours and water sports at the beach, which has public restrooms, showers and picnic tables for convenience. The island has several restaurants — specializing in fresh fish, of course — along with a few hotels and plenty of vacation rentals, some of them just steps from the sand. Insider Tip: The Captiva Kayak Company offers boat rentals and kayak expeditions into local waterways to explore Captiva’s beaches and bayous. A suburb of San Diego, La Jolla charms with boutiques, art galleries, cafes, resorts, and a lovely, little beach, La Jolla Cove. It’s the perfect place to take off your shoes and stroll the sand or set up camp for an entire day, taking in views of the sea and sea lions who frequent the rocky shores. Young children especially love the tide pools at La Jolla Cove, which include a sea cave you can actually walk through! 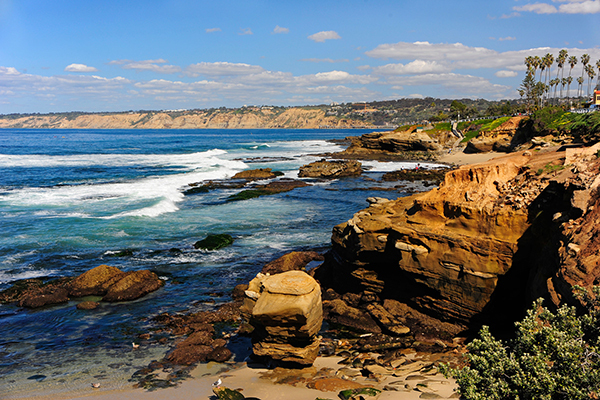 La Jolla Cove is bordered by Scripps Park, a nice place to let the kids run around or enjoy a shaded picnic lunch. Restrooms are also available. Another offshore perk is La Jolla Underwater Park, where kids can get up close with sea life. Insider Tip: La Jolla Concerts by the Sea are offered every Sunday afternoon during the summer, and provide fun for all ages with a wide range of music to enjoy. 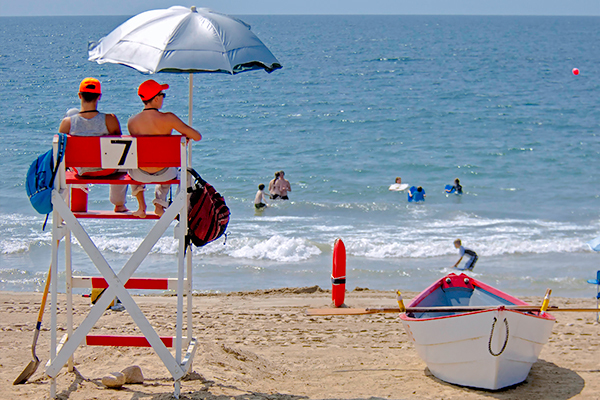 Popular with locals, Misquamicut State Beach is also worthy of a trip for out-of-towners, who will appreciate the beach’s amenities — showers, restrooms, a snack stand and gift shop, plus lifeguards. They’ll also appreciate the beach’s calm waters and laid-back, yet fun-filled location in Westerly, with nearby attractions including Watch Hill Lighthouse, classic amusements at Atlantic Beach Park, and a statue of Mrs. Potato Head — bring the camera! Insider Tip: Check out Water Wiz of Westerly, a water park with three slides located right on the beach! Discounts are offered for early birds. 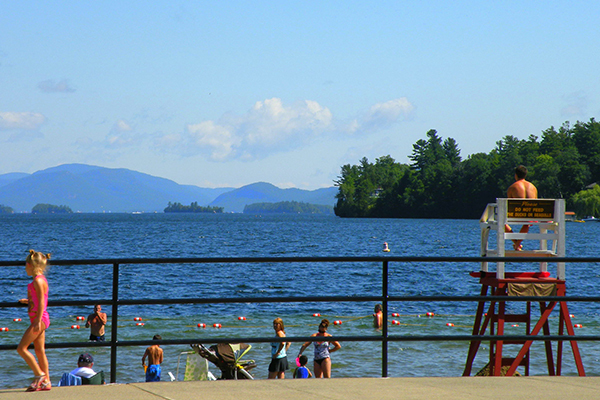 Admission is free at Million Dollar Beach, as are the stunning, panoramic views of Lake George and the Adirondack Mountains. Restrooms, showers, a volleyball area, snack stand, picnic tables and grills are also included, and swimming is ideal for all ages, with calm waters and lifeguards on duty. Another reason for families to plan a visit to Million Dollar Beach and Lake George — the area is known for its wealth of vacation rentals. Insider Tip: Head to nearby Lake George Village for fireworks over the lake. The shows commence July 4 and then run every Thursday through August. 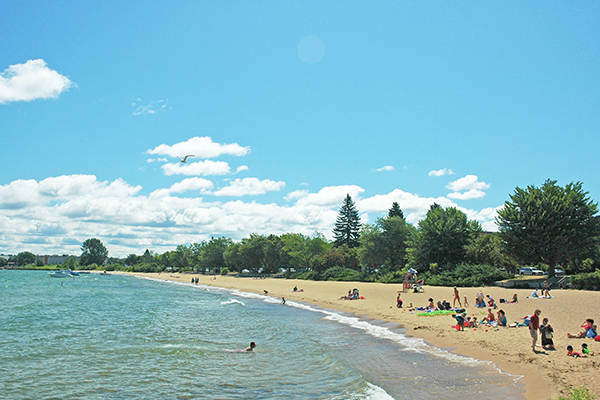 Traverse City is a hot spot for outdoor enthusiasts, including those who enjoy time at the beach. And Clinch Park Beach is especially perfect for families, with a splash pad and playground for little ones, and lifeguards who oversee the wave riders. It also offers a tiny movie theater that’s perfect for a rainy day or mid-afternoon break from the sun. There are several restaurants within a block of the beach, and many hotels are located within easy walking distance, as well. Insider Tip: Nearby Clinch Park Marina offers kayak, paddleboard and bicycle rentals to ride on the paved TART Trail, which runs above the beach. It’s easy to forget this beach is located in a city, not to mention a city with a rainy reputation. 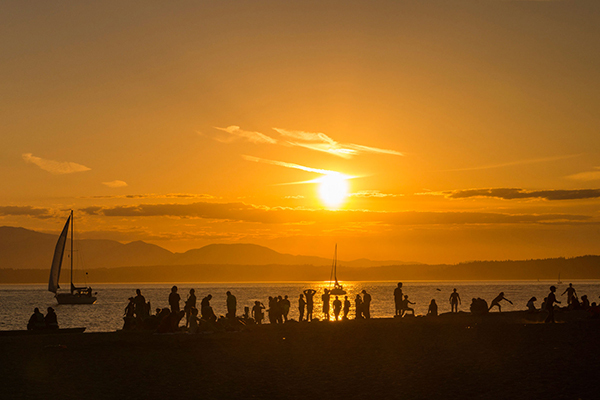 But summers are quite stunning in Seattle, as are the city’s beaches — namely Golden Gardens Park. Seemingly hidden on Puget Sound, Golden Gardens Park is located on a quiet stretch of soft sand, and — when combined with tranquil waters, a playground, restrooms, shaded picnic tables and grills — creates the perfect atmosphere for a beach day. Huddle around a fire pit at sunset for an Instagram-worthy photo. Other highlights close by include hiking and Paseo (a short drive away), a small, window-service shop that serves some of the best sandwiches you’ll ever eat. Insider Tip: Combine your beach day with a visit to the famous Hiram M. Chittenden Locks (Ballard Locks), where you can watch boats and even kayaks cross through the channel. There’s also a botanical garden and fish ladder at this free attraction.